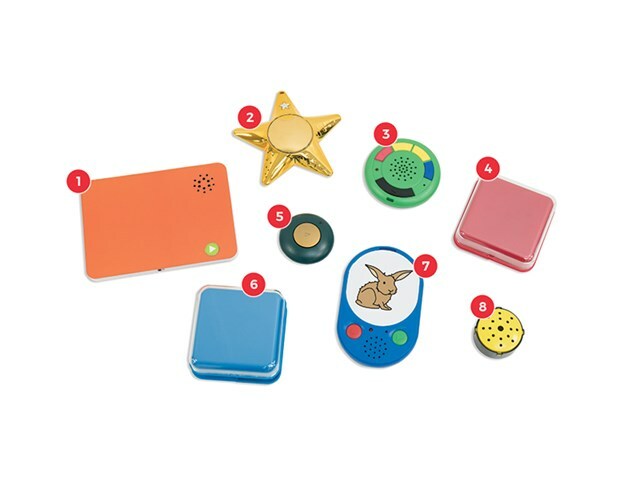 The Simple Communication Kit includes a selection of tactile, easy to use, single and multi-message communicators incorporating different shapes, sizes and recording times. 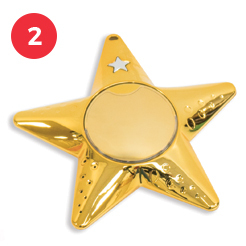 A set of six recordable metallic stars which can incorporate pictures or captions. Simply press the central button and record a 30 second message then press again to play back. 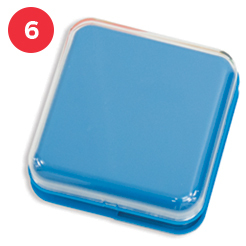 Read full product description. Multi-Memo can record and playback multiple messages with a total recording capacity of 6 minutes. Read full product description. 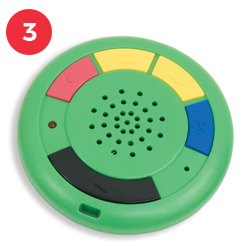 The Go Talk Button records one 10 second message and the large button ensures easy use. Read full product description. 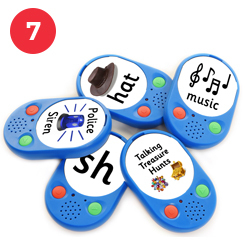 A brilliant device for creating stories, sequencing and sound effects. Simply enter multiple recordings up to a total time of 4 minutes. Read full product description. The Voice Pad allows you to record and playback 40 seconds of speech, music or sound effects via the built-in microphone and speaker. Read full product description. 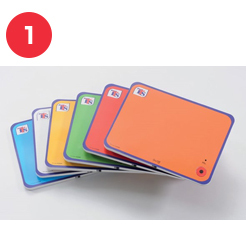 Try colour coded question and answer games or reminders. Easily mounted for use in displays too. 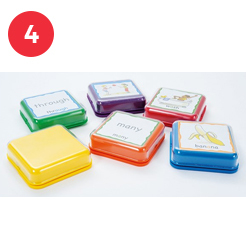 Read full product description.